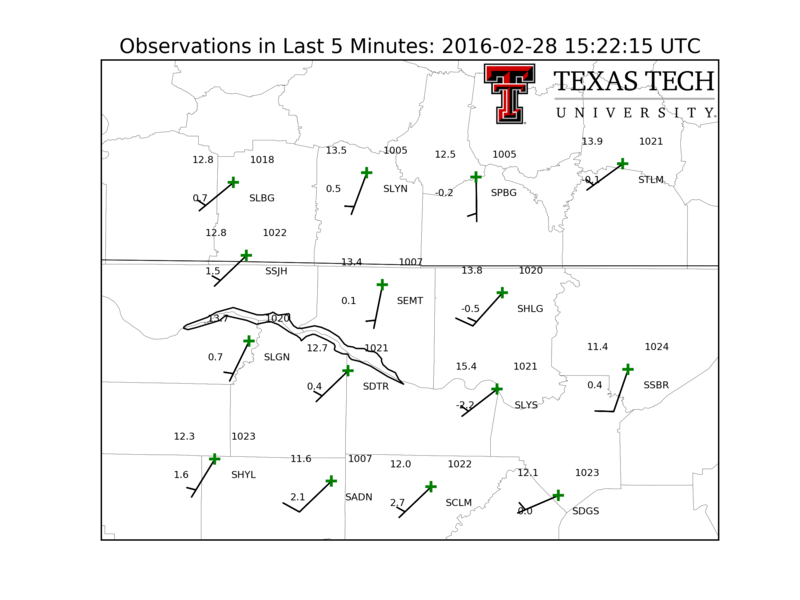 Welcome to the Texas Tech VORTEX-SE StesoNet page! Sixteen TTU StickNet probes have been deployed across northern AL and southern TN as part of the Verification of the Origin of Rotation in Tornadoes Experiment - Southeast (VORTEX-SE). The primary objectives are: 1) to detect how environmental heterogentities are associated with the likelihood of tornadoes, and 2) to assess the magnitude of cold pools produced by thunderstorm downdrafts. One-minute averaged StickNet data are available in real time and can be found here. Meteograms are also provided, updated every 5 min.